New York is full of iconic places. When not saving the city, Peter can take out his camera and photograph different objects. 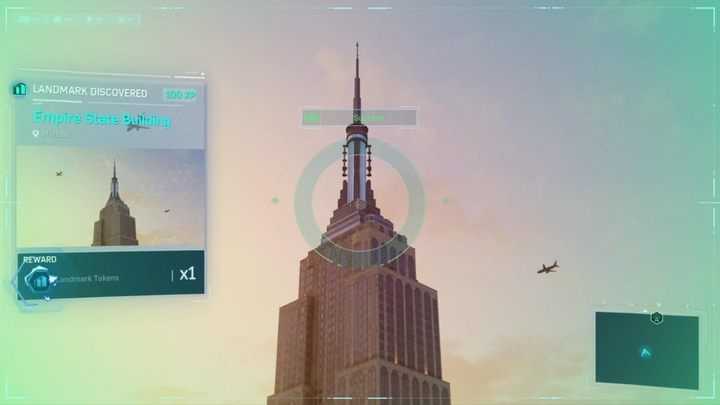 Marvel’s Spider-Man has something special for those of you fascinated with the “Big Apple” – you’ll be able to take snapshots of the Manhattan Bridge, the Washington Square Park or the Madison Square Park. Once you reach a landmark, press the up arrow on the controller. Peter will take out his camera – L2 zooms in and R1 is for taking the picture. Just point the camera at the landmark and take a shot. The game will award you with some XP and Landmark Tokens. Much like in the case of other tokens, you can spend these on crafting and suits for Spider-Man. After taking a picture, Peter will also utter a remark regarding the place.